Based on the precedent set by the coupe version of the LaFerrari, the convertible variant (shown) could generate more than 500 million euros in revenue. MILAN (Bloomberg) -- Ferrari is aiming to strengthen its balance sheet with a new limited-edition, open-top version of the 1 million-euro ($1.1 million) hybrid LaFerrari sports car. Sold out to collectors before being publicly announced on Tuesday, the LaFerrari spider draws its 963 hp from both an electric motor and a V-12 engine and offers buyers a choice between a softtop or hardtop made of carbon fiber. Though Ferrari wouldn't say exactly how many LaFerrari spiders it would make or what they will cost, based on the precedent set by the coupe version of the LaFerrari, the open-top derivative could generate more than 500 million euros in revenue. The Italian supercar-maker needs that boost as it seeks to appease investors after a lackluster stock market debut. The stock has traded below its $52 initial public offering price since mid-November. The Maranello-based company, which moved its corporate registration to the Netherlands after being spun off from Fiat Chrysler Automobiles NV at the beginning of the year, is looking to boost profit via high-margin special editions. CEO Sergio Marchionne promoted the IPO by saying the company had the earnings potential of a luxury-goods maker. In search of growth, he is bringing out limited-run cars more frequently, planning special editions of each vehicle in the lineup for this September's Paris auto show. 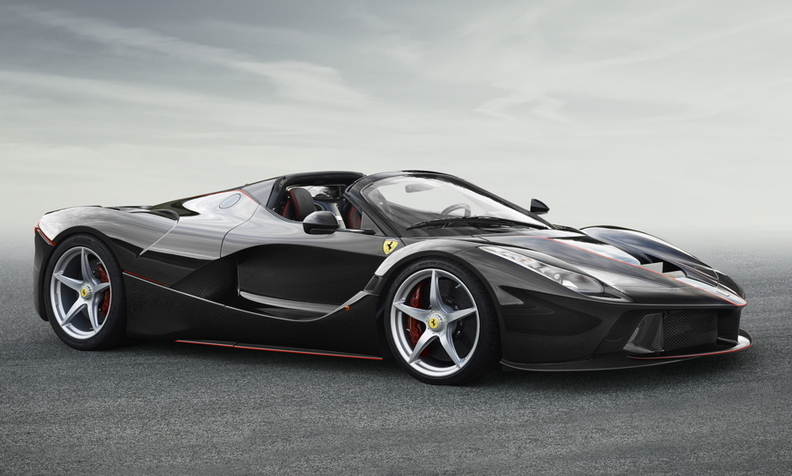 Ferrari will also display the LaFerrari cabrio at the French event. After taking on debt during the spinoff, the manufacturer faces tough decisions over pouring resources into its cars, maintaining a pricey presence in Formula One racing and extending the brand into more high-end products.